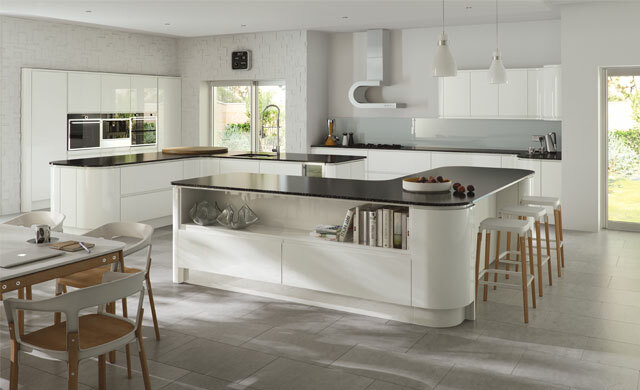 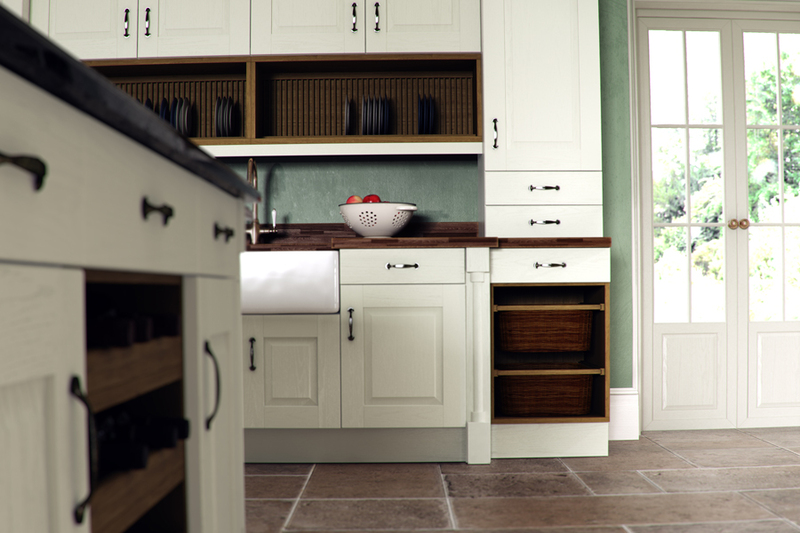 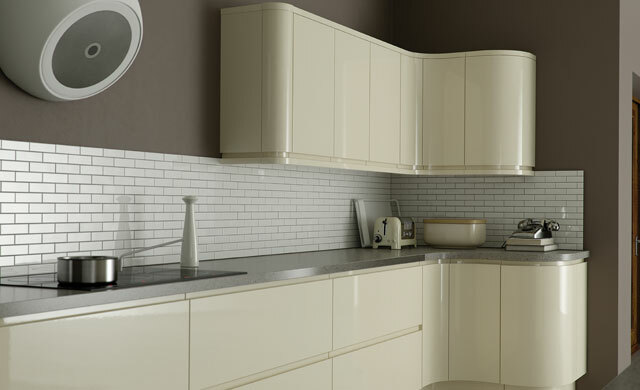 Laquered kitchens from Woodlands are spray finished with a tough, durable Two Part laquer system and can be supplied in several of the most favourite kitchen unit colours or in any of our full range of RAL colours. 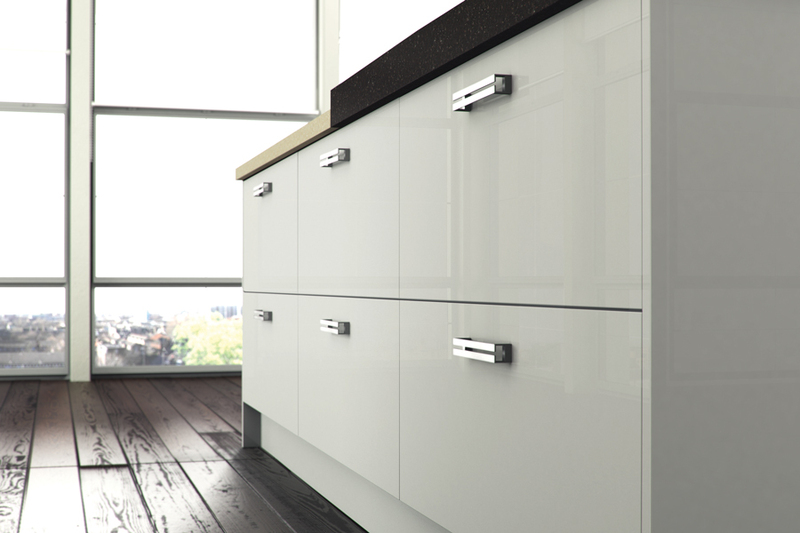 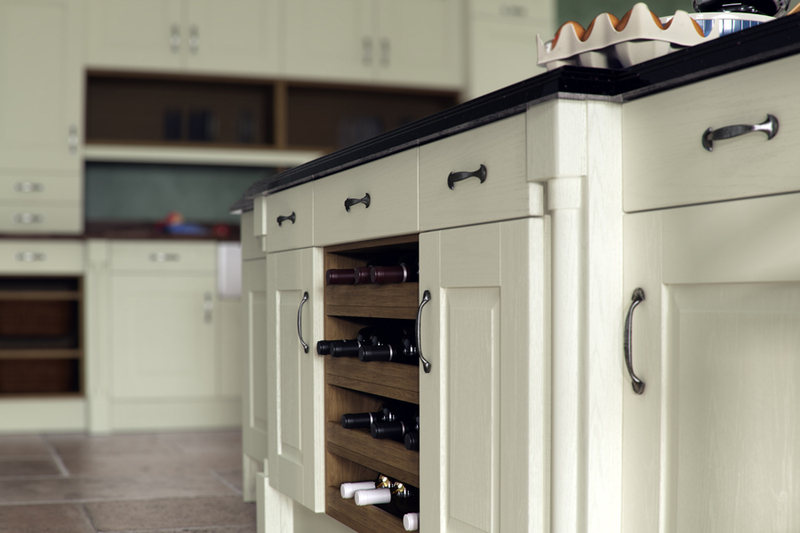 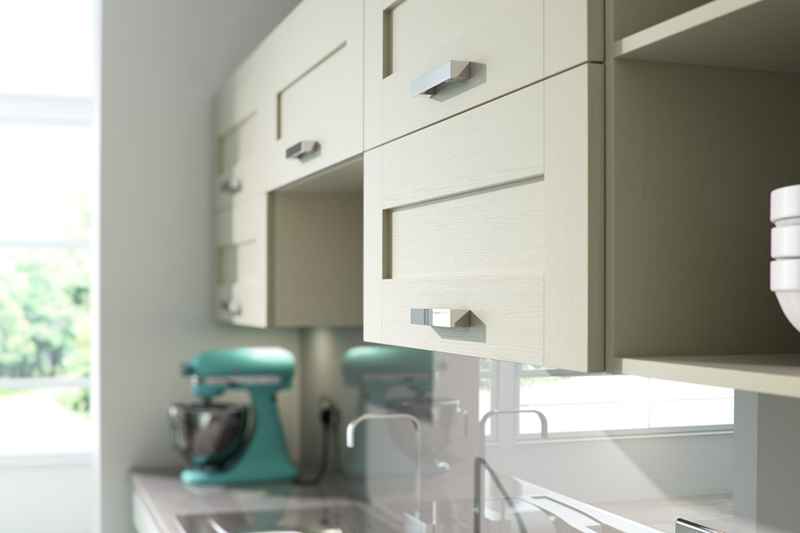 Kitchen door design can be handle-less or can have one of our fabulous handles affixed instead and a full range of accessories are also available with every range of kitchen. 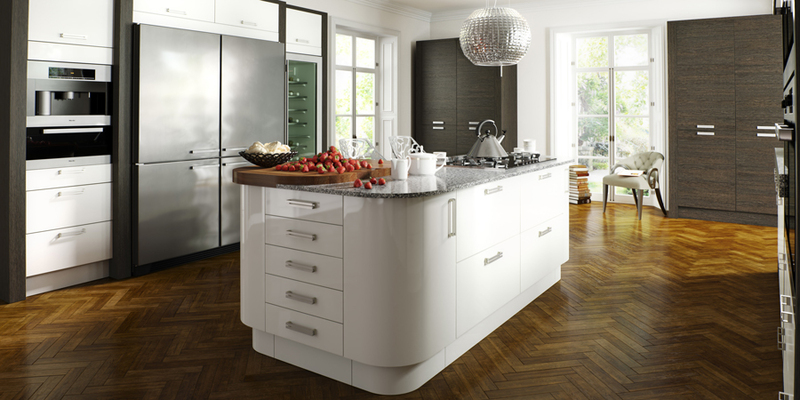 Woodlands vinyl and foil kitchens are available in an extensive, completely made to measure, range of designs and finishes. 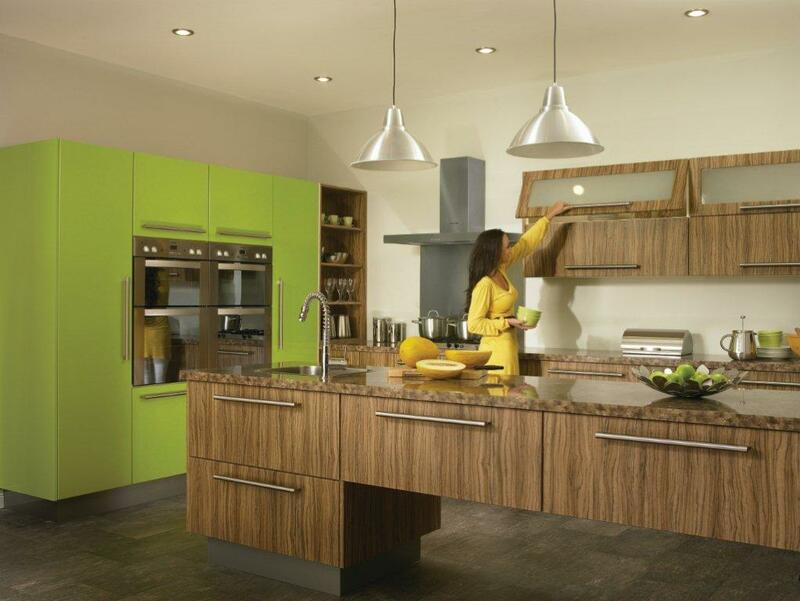 Several wood grain foils are available and about fifty vinyl colours including plain colours, woodgrain effect plain colours, many woodgains, brushed steel and high gloss finishes plain and wood. 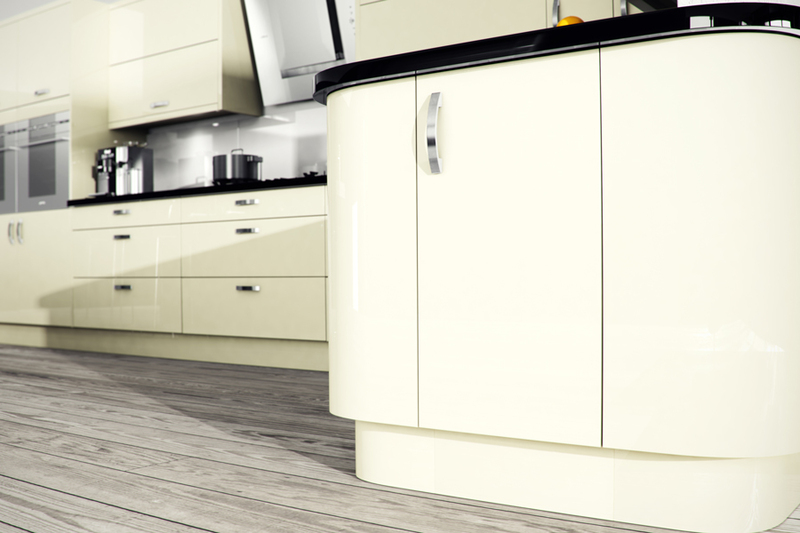 Vinyl doors are wrapped in one piece of material which covers the front and all four sides of the door with no joins regardless of the simplicity or complexity of the door design. 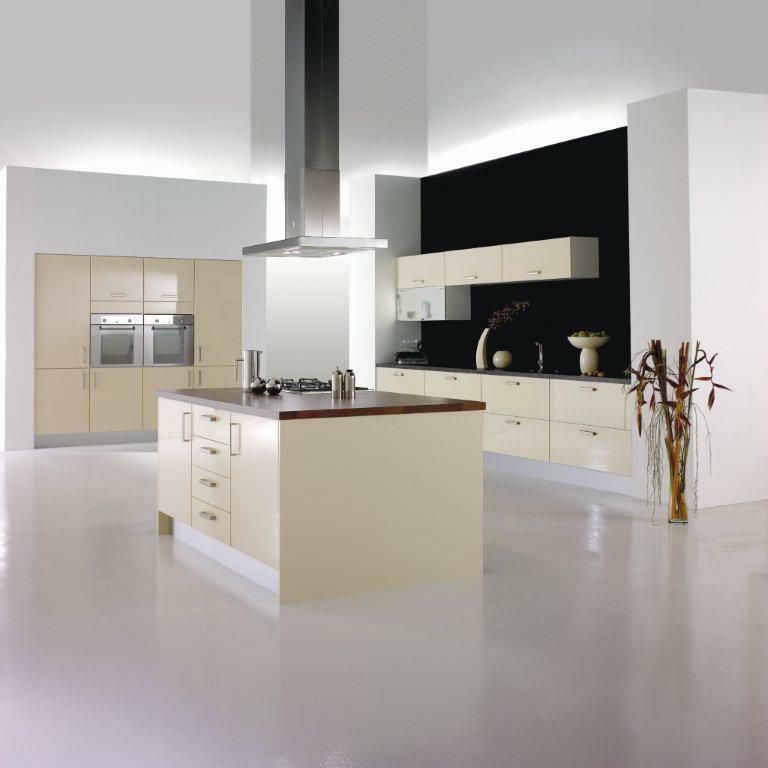 Acrilic frontages were once only available in solid acrilic material but are now also made from 3mm acrilic faced mdf board. 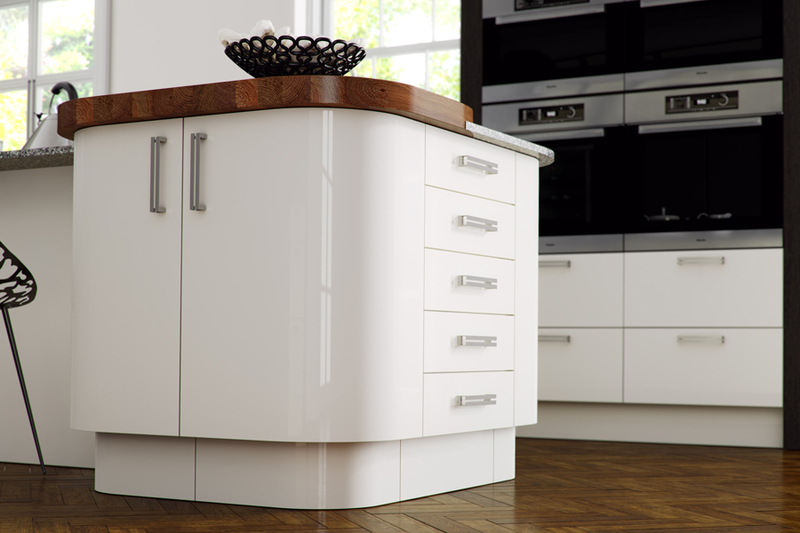 The back of the door can then be made in a similar colour to the carcasses whilst the acrilic front gives the durability and almost mirror effect gloss appearance associated with the product. 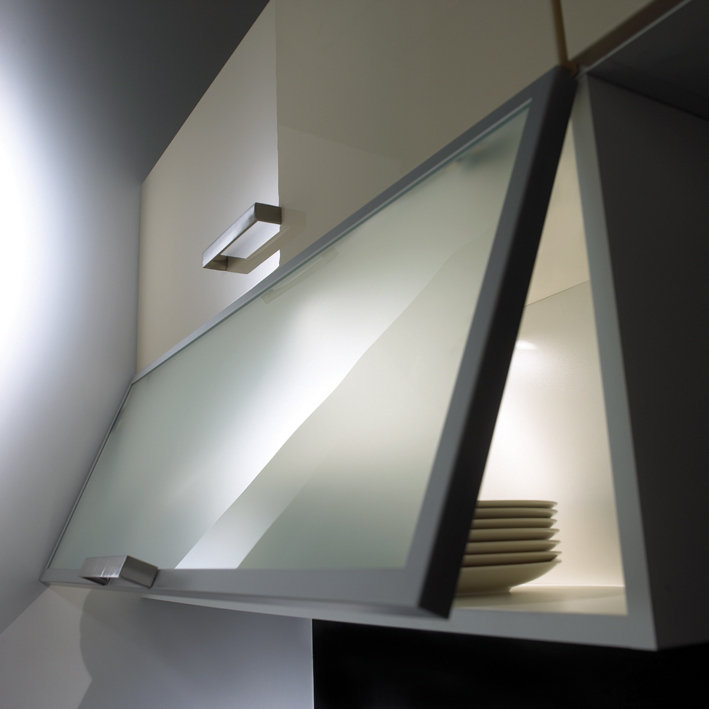 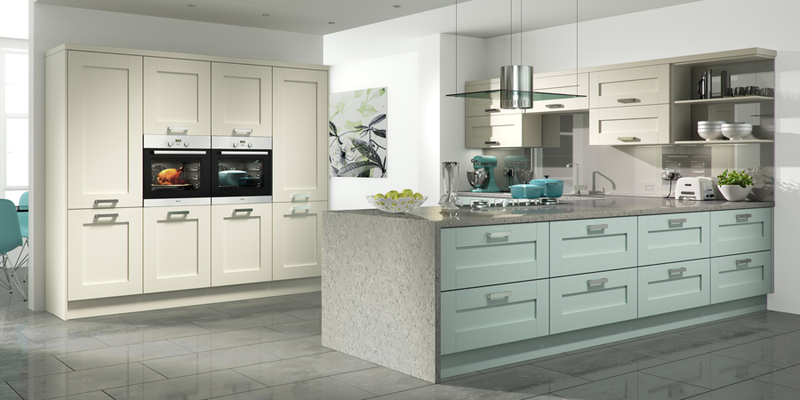 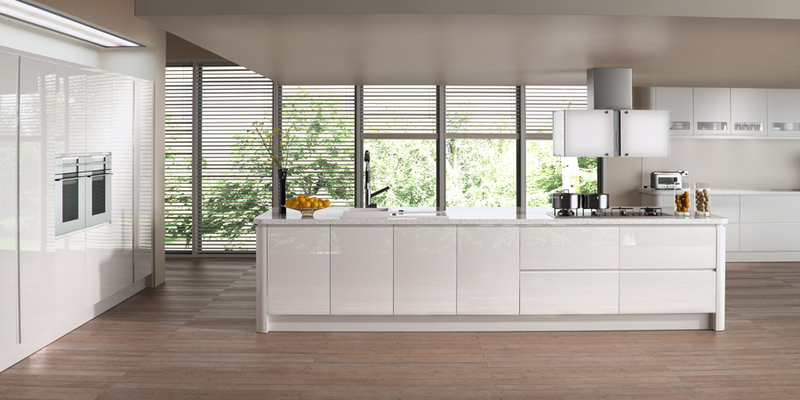 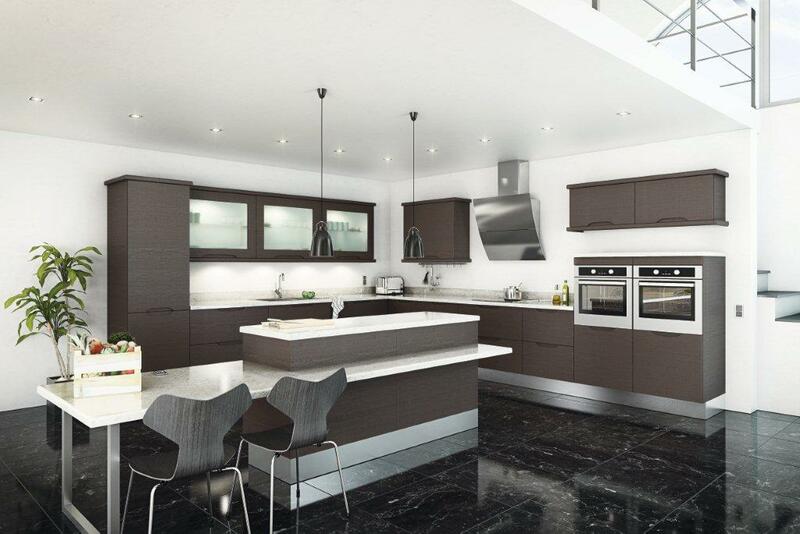 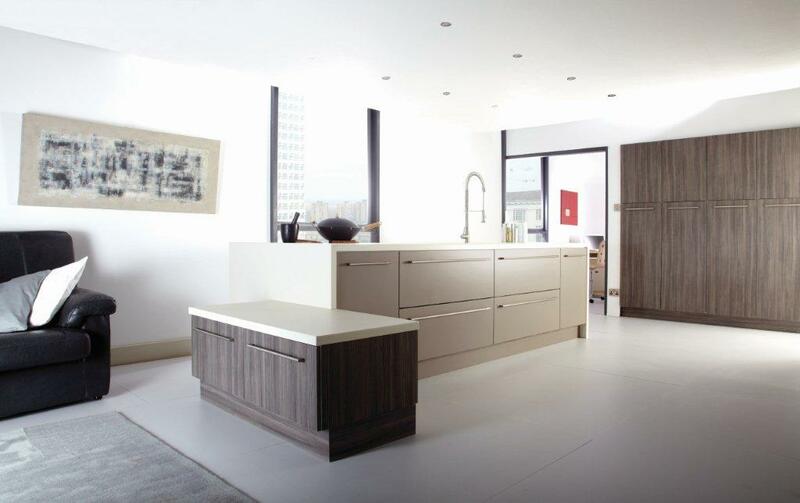 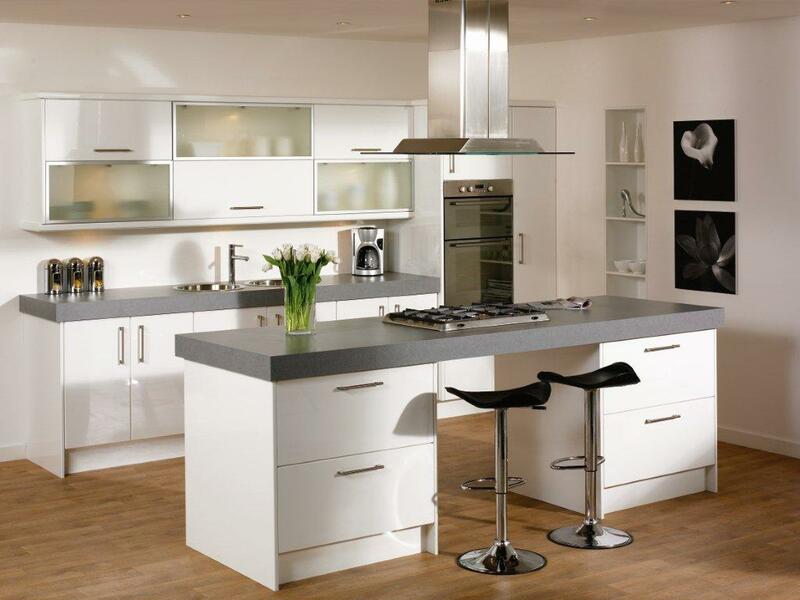 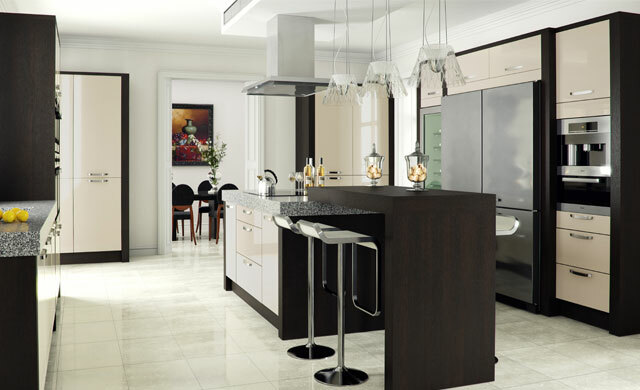 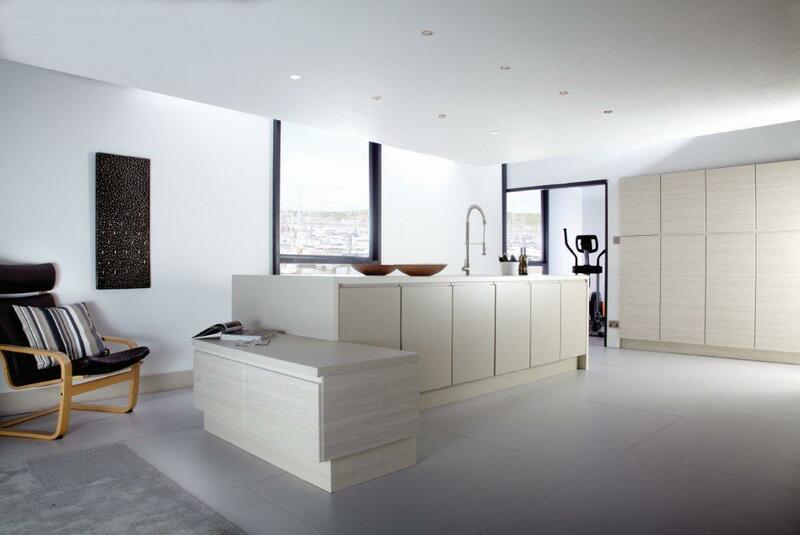 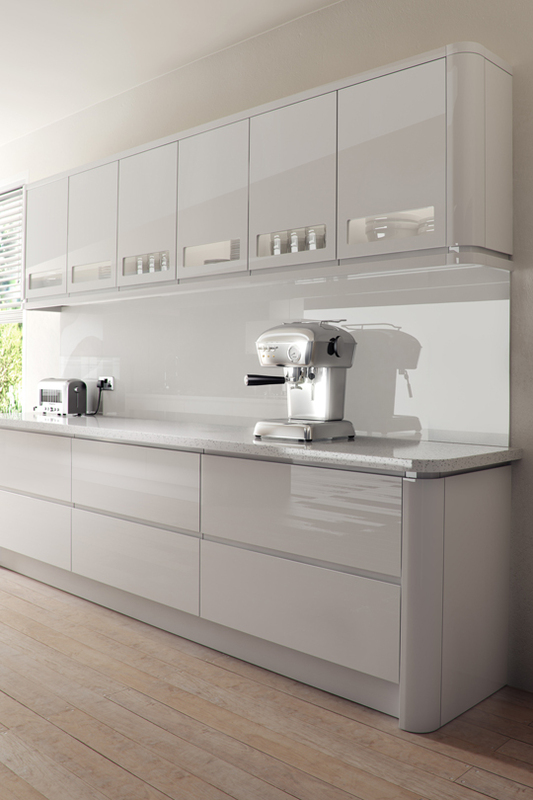 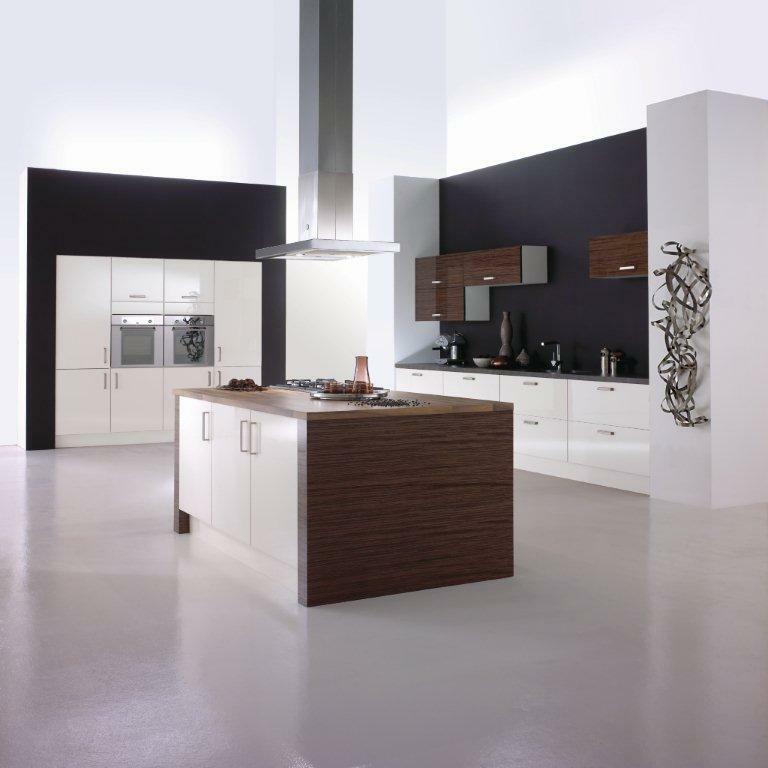 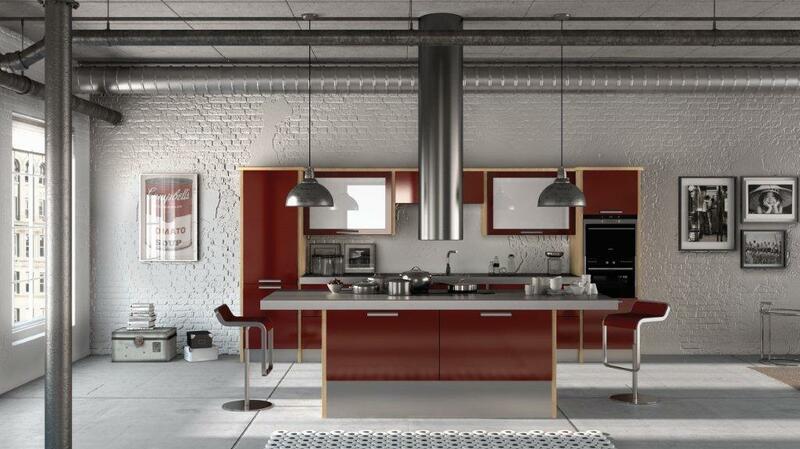 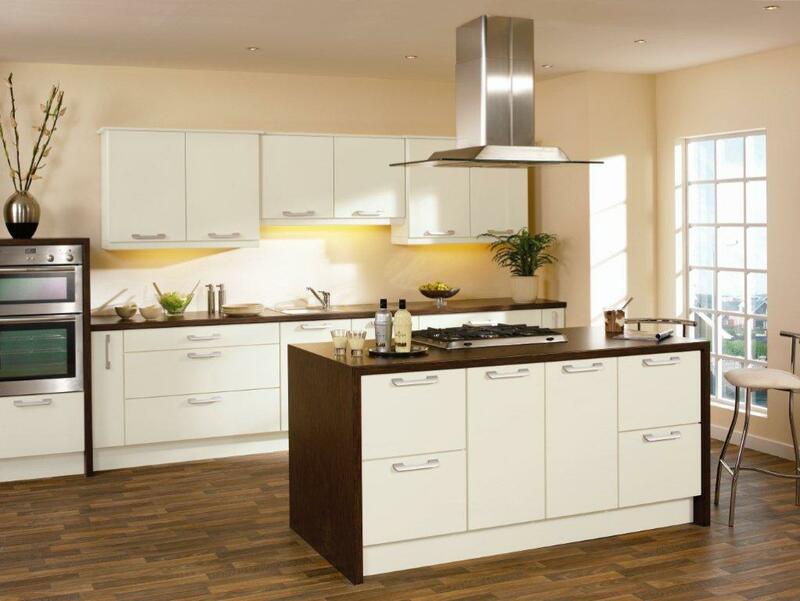 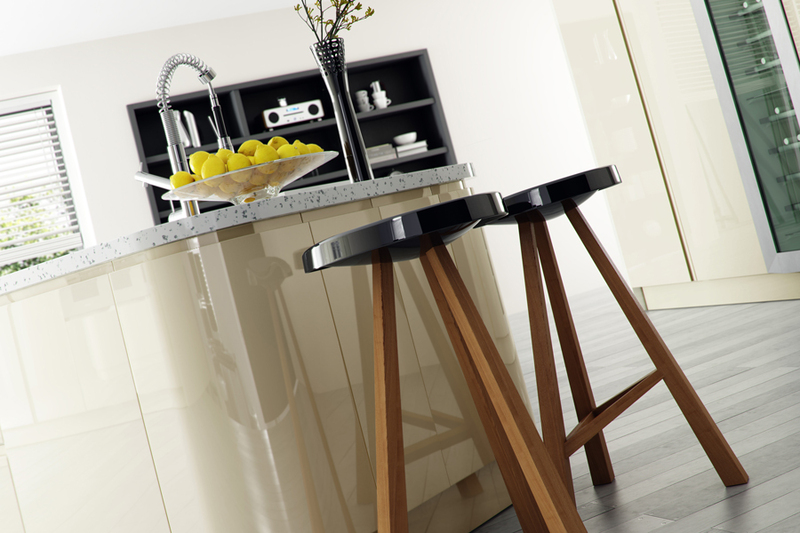 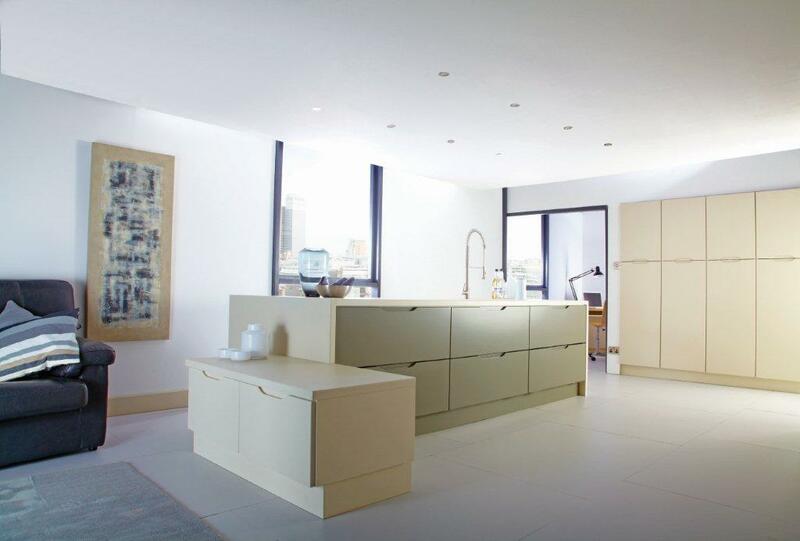 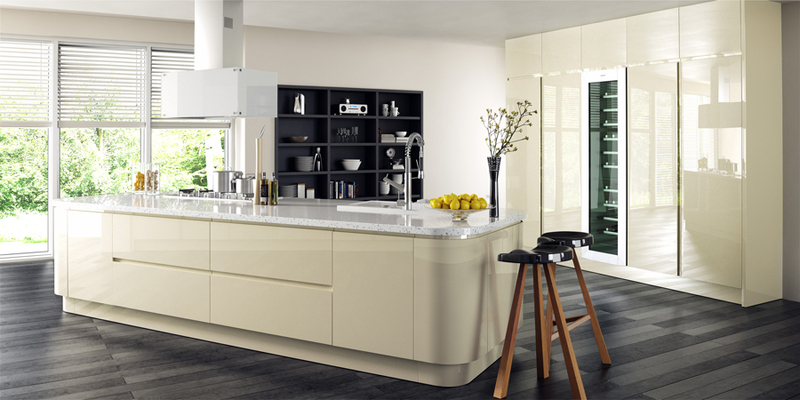 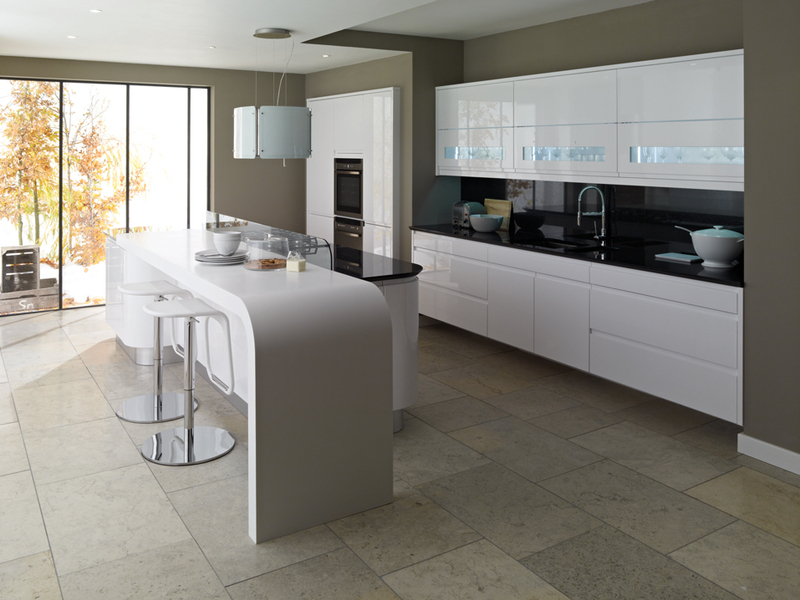 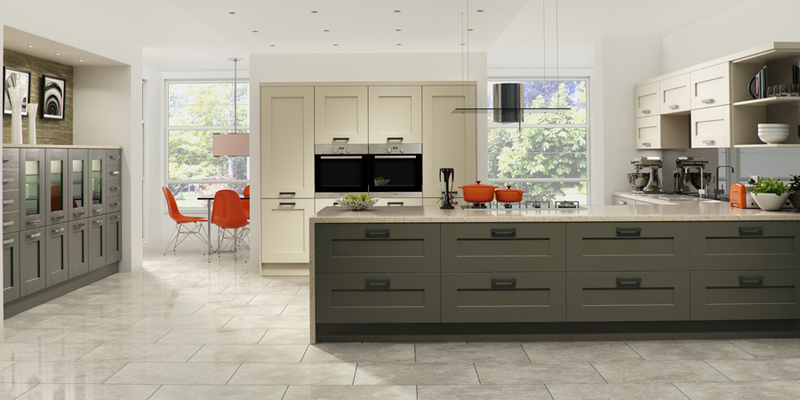 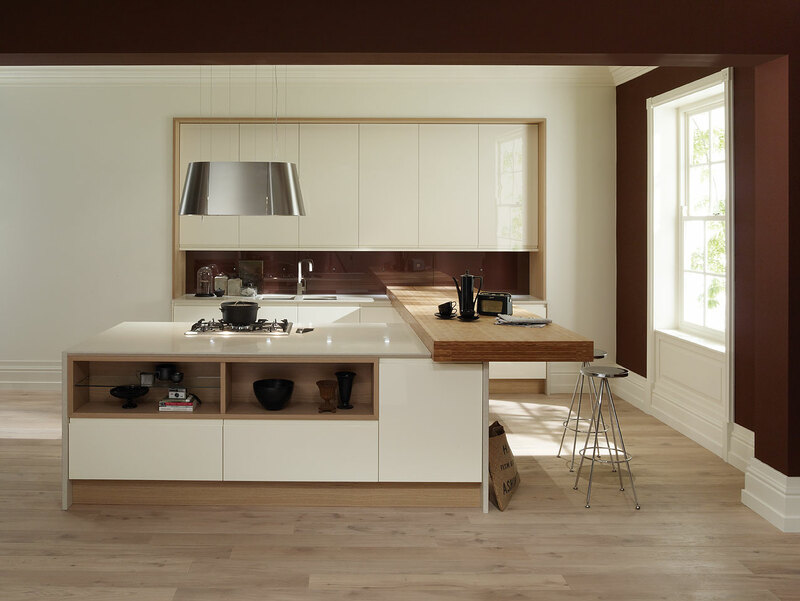 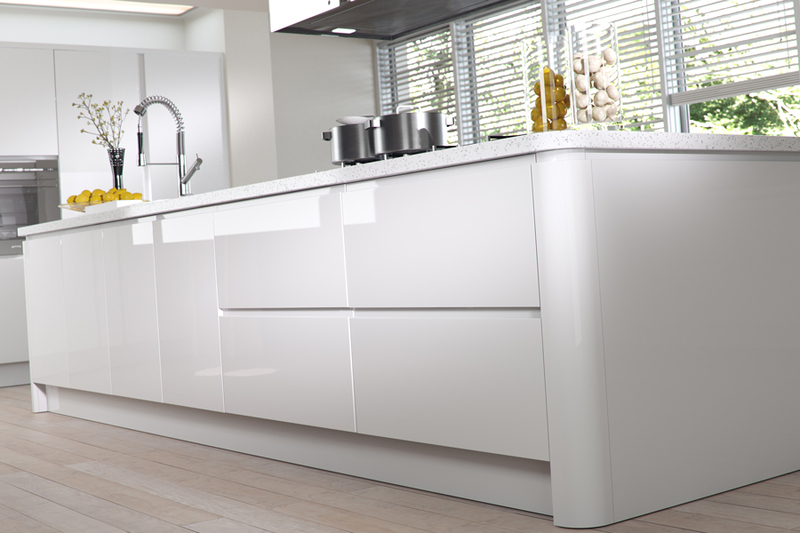 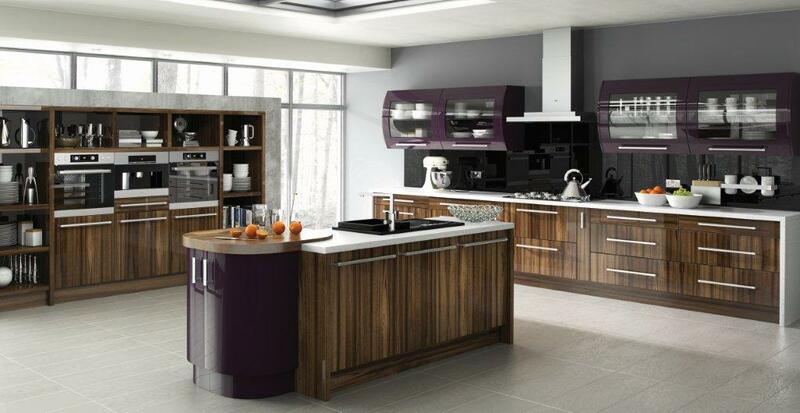 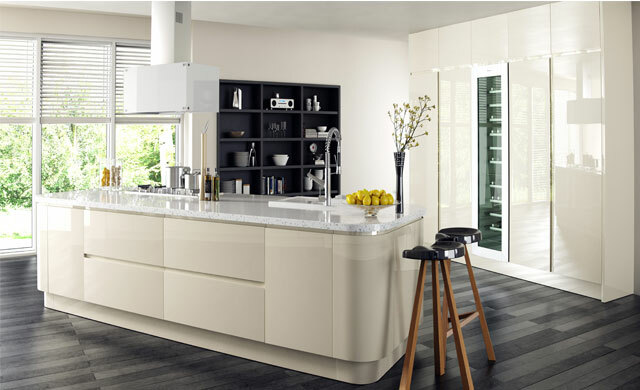 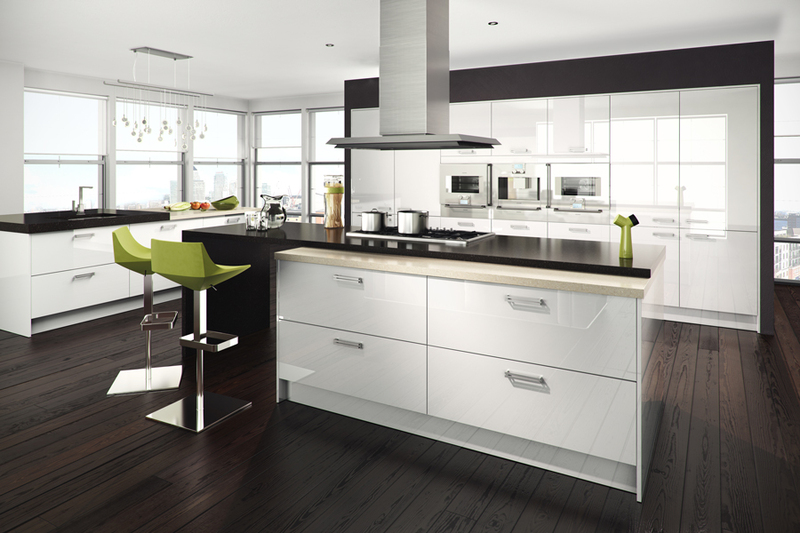 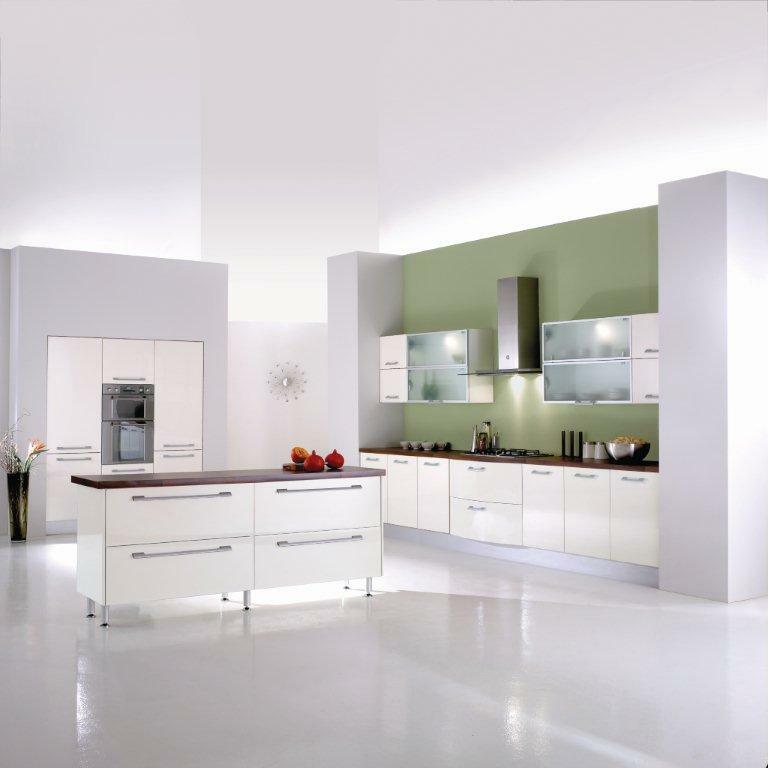 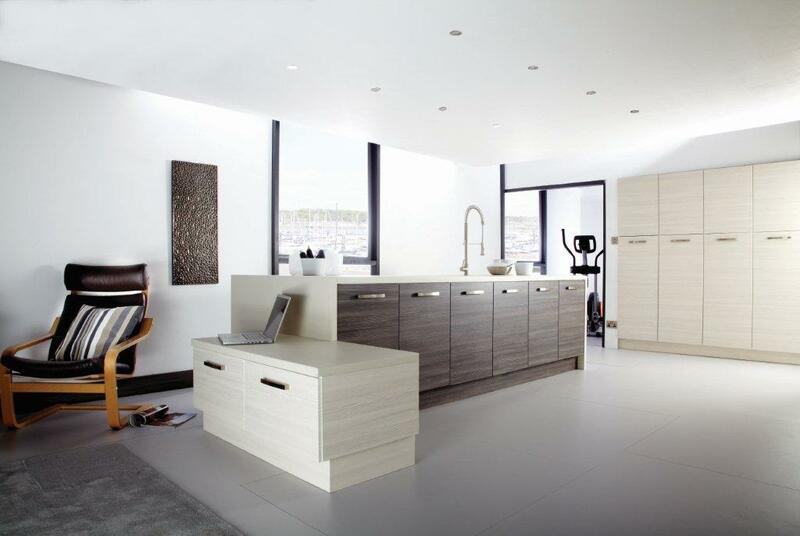 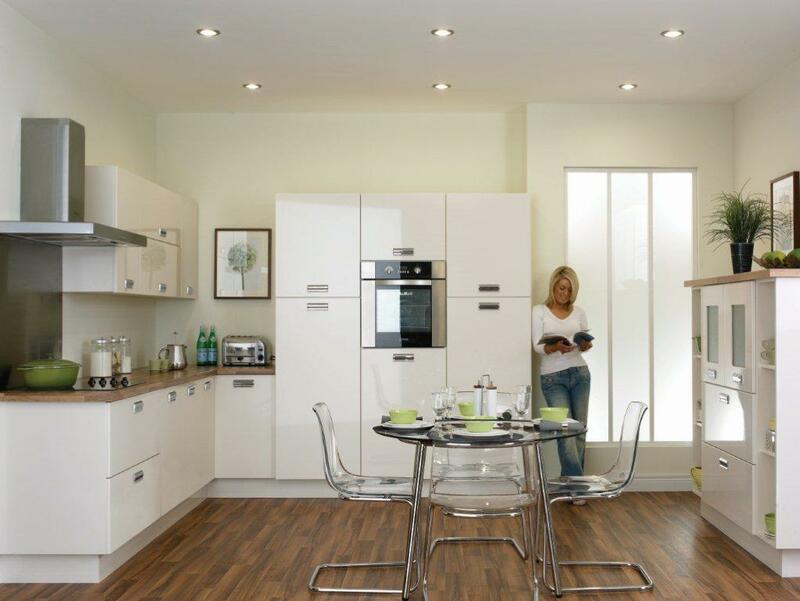 Acrilic kitchens are available in a range of stunning colours and woodgrain effects. 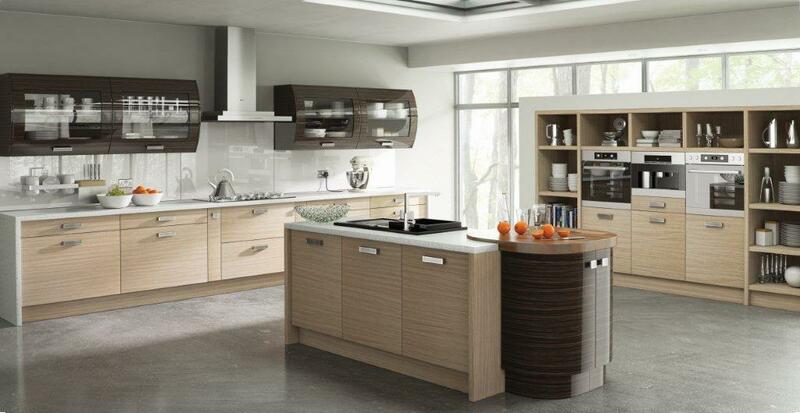 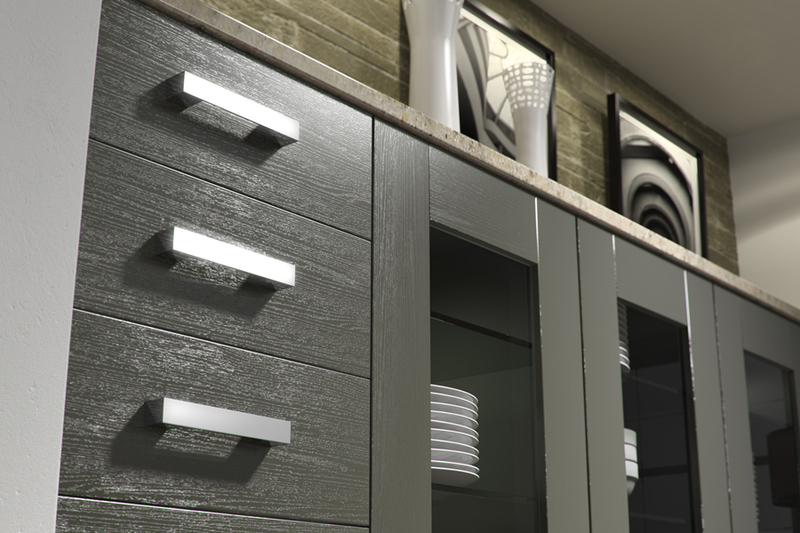 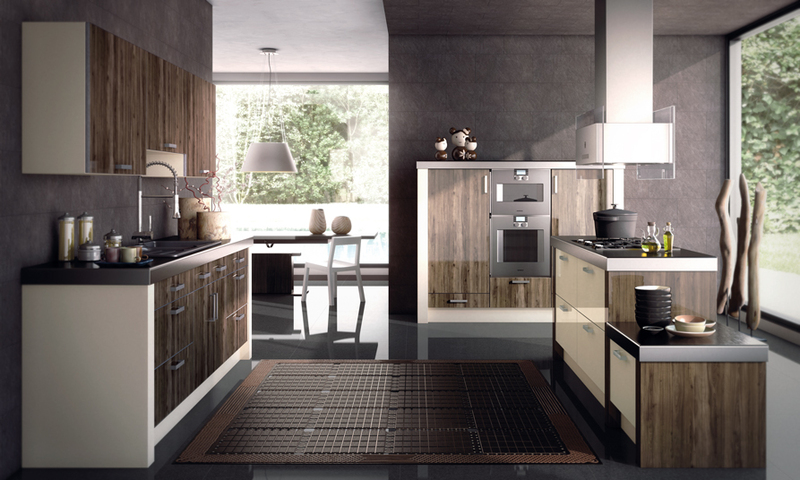 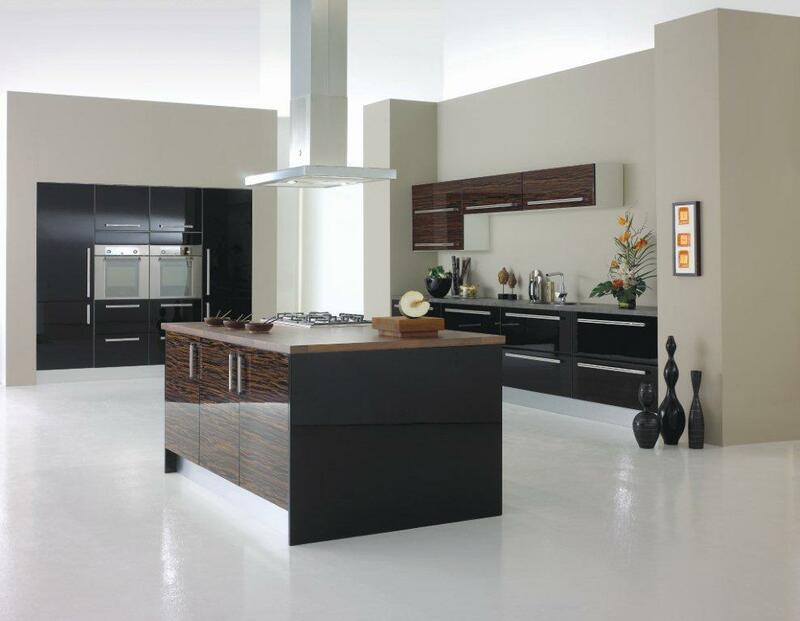 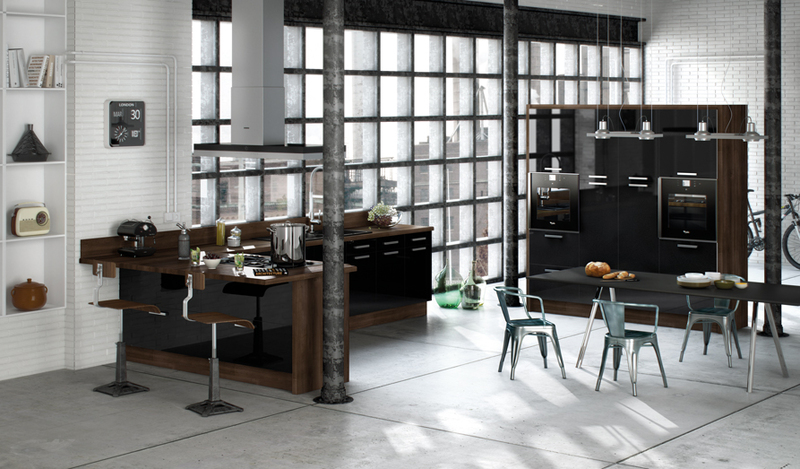 Contemporary designed kitchens can be manufactured in wood, wood veneers or a combination of both. 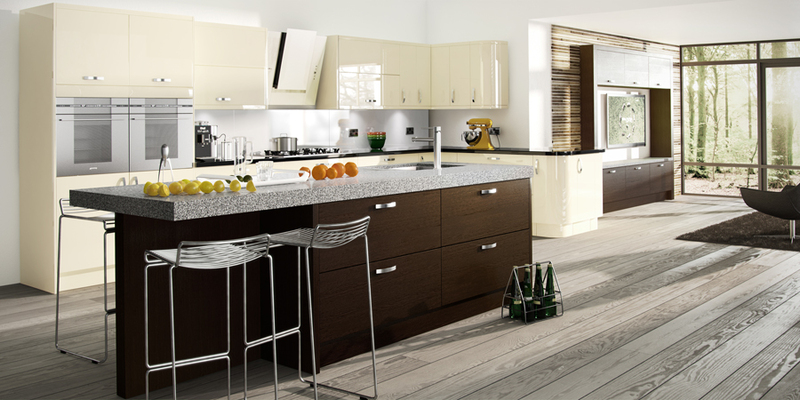 Woods of various species, graining and colours can be finished in either clear laquer or oiled for the natural look. 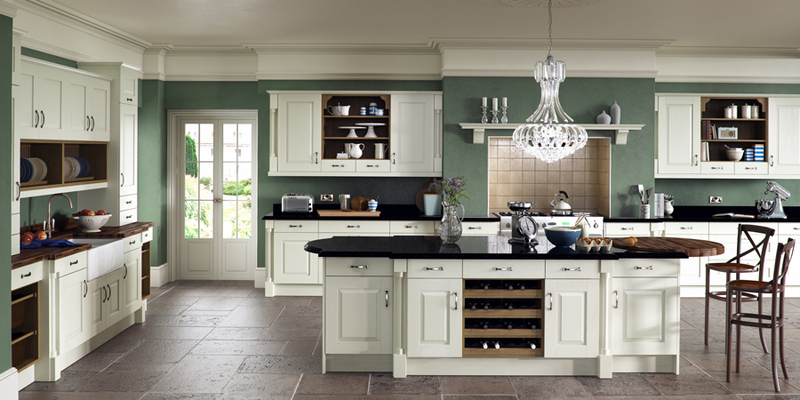 Alternatively they can be stained or painted in a myriad of beautiful tones and colours. 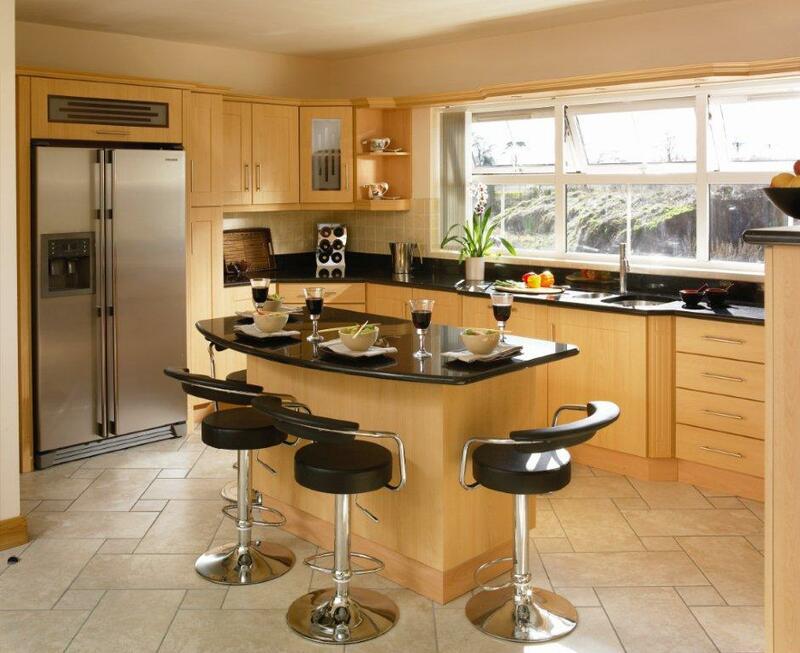 We would like to say thank you for the transformation of our kitchen. 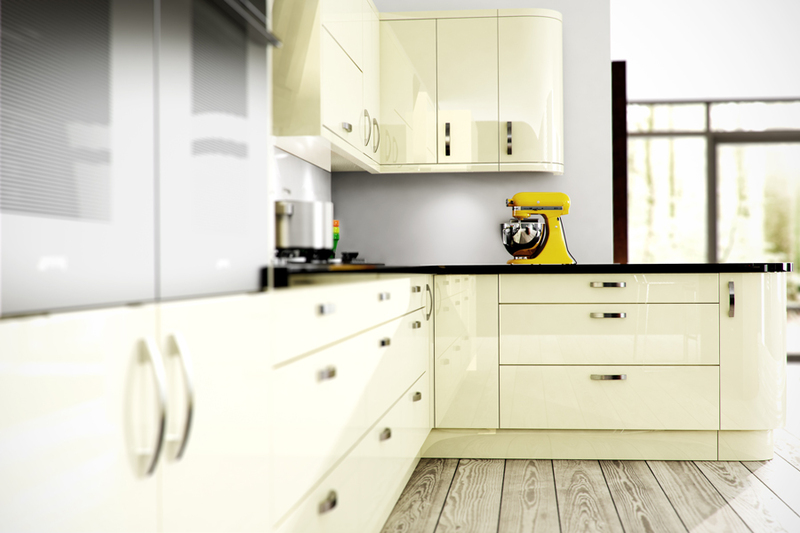 We did not realise that having new doors and worktops would be like having a new kitchen. 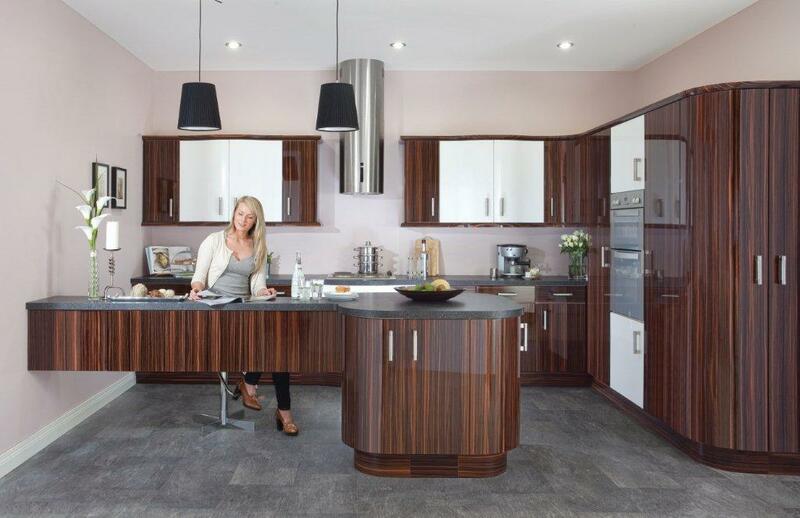 Having used woodlands for our bedroom before, we had no hesitation in coming back to you for our kitchen. 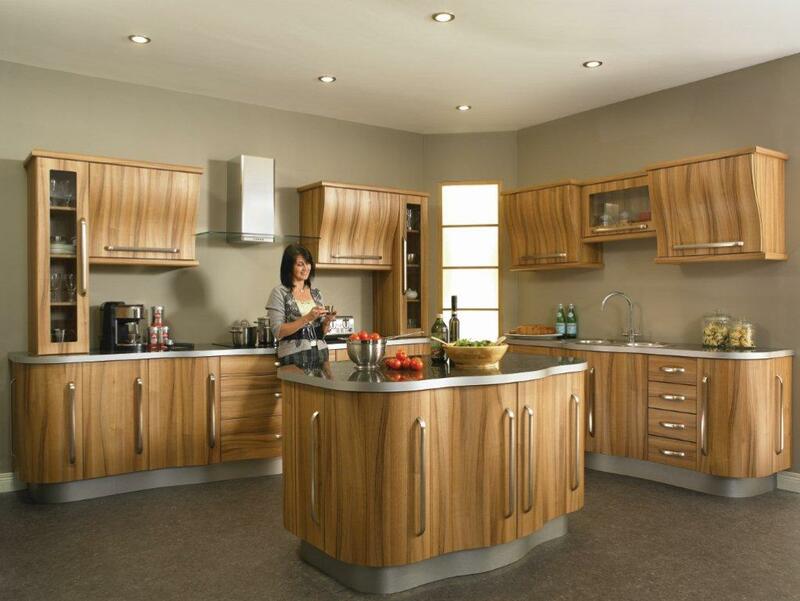 We would not hesitate to recommend woodlands to any of our friend/ family.